Following last month’s news that Mamoru Hosoda’s magical tale of siblinghood, Mirai was nominated for a Golden Globe, the Academy of Motion Picture Arts and Sciences have announced this afternoon that the anime film has also received a highly anticipated nomination for the Best Animated Feature category of the 91st Academy Awards! This marks the first anime film not associated with Studio Ghibli to be nominated for the category, following its inception in 2001. Hayao Miyazaki’s Spirited Away currently stands as the only anime to take the prize in 2002, with other films nominated being Howl’s Moving Castle (2005), The Wind Rises (2013), The Tale of the Princess Kaguya (2014), When Marnie was There (2015) and Wild Bunch collaboration The Red Turtle (2016). 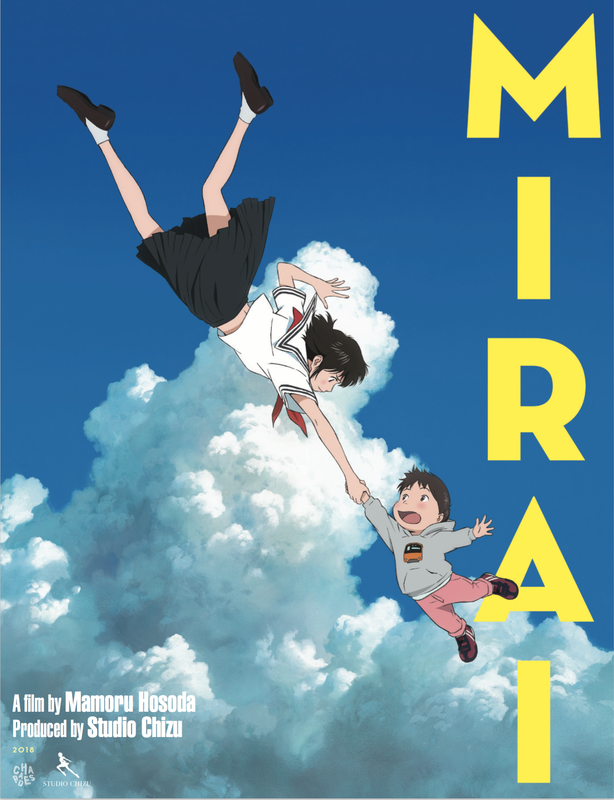 Mirai is another lovely, sentimental, enjoyable family film from Mamoru Hosoda that strikes the perfect balance between visually wonderful fantasy sequences and an emotionally relatable story.